An anthology of two rare, unearthed reports of the secret work of T. Townsend Brown. 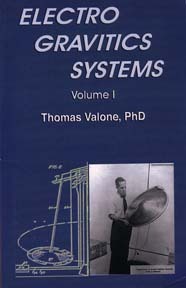 The first report, Electrogravitics Systems, was classified until recently, and the second report, The Gravitics Situation, is a fascinating update on Browns anti-gravity experiments in the early 50s. Also included, research on the B-2 as a modern-day version of an eletrogravitic aircraft-a literal U.S. anti-gravity squadron and a lengthy appendix of T. Townsend Brown patents and notebooks!